Merkley Supply Ltd. is the Ottawa-Carleton region’s oldest and most comprehensive masonry supplier, providing materials to 80% of the residential, commercial, industrial, institutional and home renovation projects in the Ottawa area. 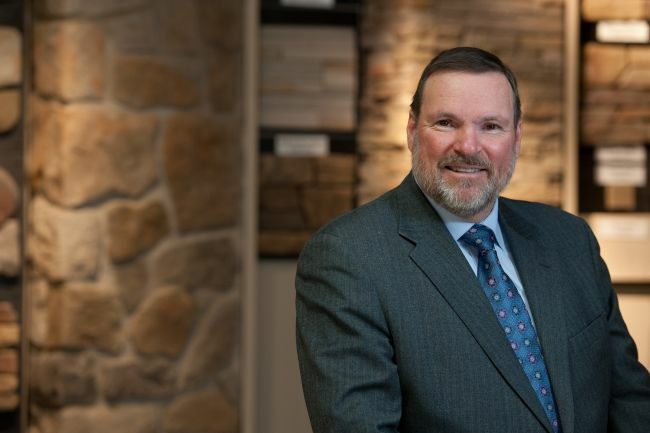 With more than five decades of experience in all aspects of stone, brick, landscaping products and specialty building supplies, we help customers create first impressions that last. That’s why design and building professionals, architects, homeowners and do-it-yourself renovators rely on our comprehensive masonry knowledge, our wide product selection, our outstanding customer service and our expertise. The talented team at Merkley Supply includes more than 40 full-time staff in Ottawa, Ontario, many of whom have been with the company for decades. With backgrounds ranging from construction to design, architecture and more, we have the industry experience you’re looking for. Feel free to contact us at any time. We’re always here to help. And be sure to drop by our showroom to see for yourself why the Ottawa-Carleton region has trusted Merkley Supply with its building and landscaping needs for over 50 years. The story of Merkley Supply’s support for the Ottawa Hospital’s Ride for Research (The Ride) goes back to the very beginning… before the beginning in fact! In 2009, philanthropists and Ottawa businessmen Robert Merkley and Roger Greenberg participated in the Toronto to Niagara Falls Ride to Conquer Cancer, a long-distance bicycle ride, and were inspired to apply the concept, their joy of cycling and their enthusiasm to raise much-needed funds for cancer research right here in Ottawa. The following year, thanks to the drive of these two men, The Ride was created along with its largest, most successful and most enthusiastic team — the Merkley Supply Brick Peddlers. In the first year alone, the potential of The Ride was revealed when it raised nearly a million dollars in one day. With 32 members, the Brick Peddlers team was the largest and most successful in raising funds. And that was just the beginning. By 2014, the Brick Peddlers would peak at an astonishing 132 members in strength. Since 2010, The Ride has raised $11,400,000 for cancer research, with the Brick Peddlers, headed by the unstoppable enthusiasm of Robert Merkley, contributing $1,450,000 of that money. Typically, each year, The Ride will feature anywhere from 500- 950 cyclists, many of whom are not everyday riders. With the encouragement of their team members and the knowledge that they are making a huge difference, participants give their all and have succeeded every year in making the biggest contribution. Each rider on the Brick Peddlers team is encouraged to raise a minimum of $750 and the achievable goal for the whole team this year is $50,000. The team welcomes all new and returning members with three choices for distances that meet their abilities and time commitments— 50 K, 100K and this year a virtual ride. For those who will saddle up for the day, it is recommended that we all get out there and do some weekly training (50 hours) to get up to speed. Team members will earn many things from their participation— new friends, the camaraderie of a team that is making a difference, a day to remember, perhaps a change in their own fitness and of course—the coveted orange Merkley Brick Peddlers jersey. We welcome and encourage you to join the team that truly is helping to find better ways to treat and even cure cancer. You can learn more, donate or join our team here.